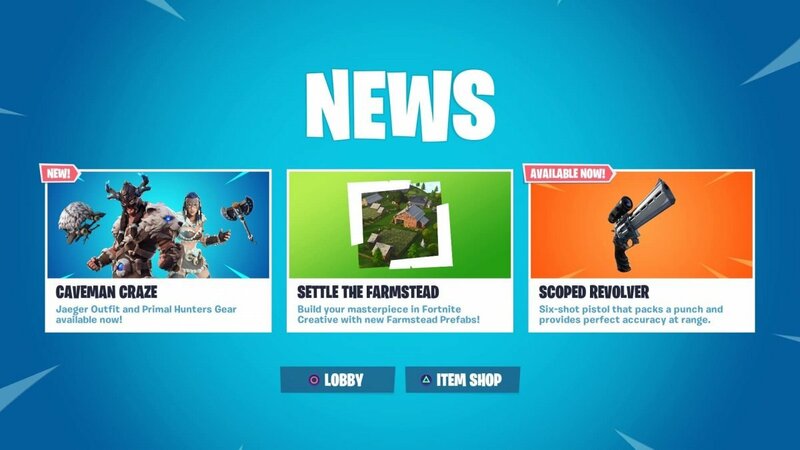 HomeNews‘Fortnite’ Season 7 Challenges – Week 7! Hello again Fortniters! 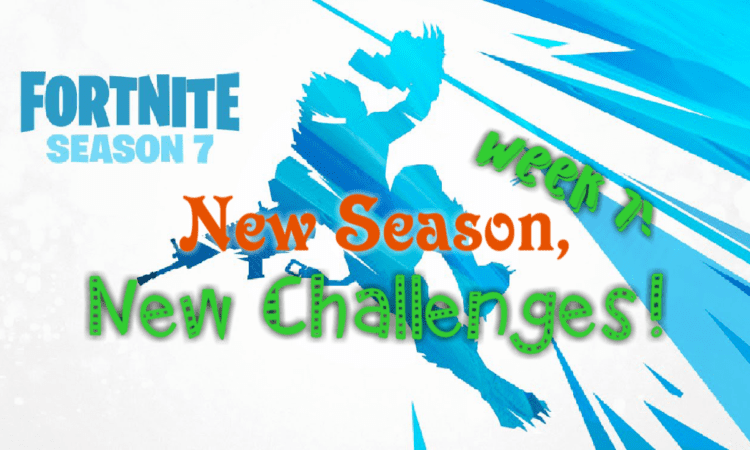 We have about a month of challenges left in the season, but for now we have week 7 to concern ourselves with. Let’s jump right and and look at what we need to do to get them tiers done! These are the new red building on the maps with zip lines and planes around them. All you have to do is visit them and it does not require you to get them all in one match. Score! As it says, you will be disappointed if you go hunting for three rifts in a single match. There are still plenty of rifts scattered around the map, like the one next to Paradise Palms around the stage coach, or the one by the Durrr-Burger head close to Pleasant Park. Not a tough challenge at all. Another day, another Fortnite challenge that takes me awhile. I actually have an easier time getting kills with pistols, so this one may not be so bad. 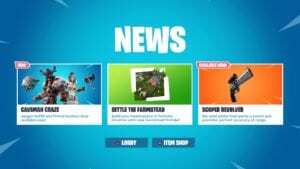 You can use anything that qualifies in the category, including the scoped pistol and hand cannon. If you manage to get three in the same match, it will count as well. It would not be a new week of challenges if there was not at least one where you had a spot you needed to land in. This will take you five matches to accomplish. Make sure you do not quit after landing or it does not count! Easy peasy, lemon squeezy. Both locations have plenty of chests, but both usually are popular landing sites. A decent strategy? Drop to Frosty Flights, open some chests, grab a plane, and fly over to Loot Lake. You can do this one in multiple matches so do not get torn up if you cannot get it done the first time. So not the easiest, but not impossible. Planes have 800 health so you are going to have to pump plenty of ammo into them. The simplest way to finish this challenge would be to jump in your own plane and get to dogfighting! Yay, only one elimination challenge this week! This one will require you to at least put some effort in and probably take a person or two with you however. If there are any matches with respawn in them, this would be your easiest way to victory, assuming your damage carries over from spawn to spawn. There is your week 7 challenges! 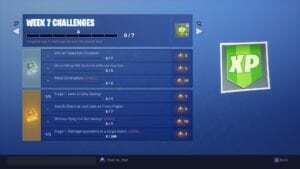 Are you excited there are not as many eliminations challenges this week? Drop down into the comments and tell us what you think!